Make a style statement with one of Heritage's Limited Edition collections, inspired by the latest interior trends and for those wanting something a little different. With its striking spout and Midnight Blue ceramic levers, the Glastonbury range encapsulates both splendour and practicality. 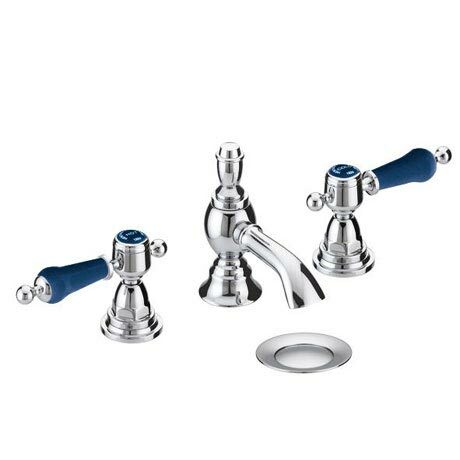 This 3 Hole Basin Mixer with Pop-up Waste is made from chrome plated brass and feature quarter turn levers for easy operation. Comes with a 5 year guarantee covering manufacturing faults.